Circular Cities brochure out now! 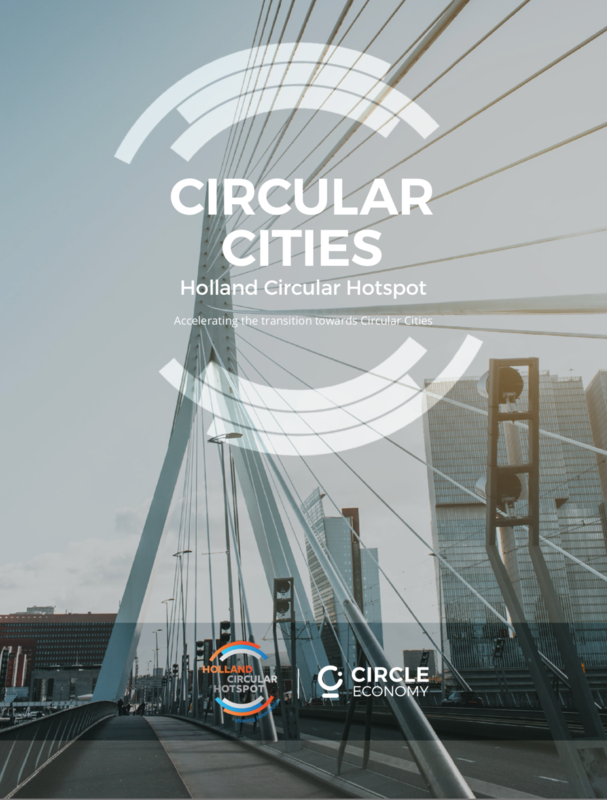 On April 11th Holland Circular Hotspot and Circle Economy launched the Circular Cities brochure at the Holland Circular Hotspot event ‘Grenzeloos Circulair’ in The Hague. The brochure is aimed at an international audience of decision makers involved in city administration and development. It shares knowledge and experience of circular solutions from the Netherlands to inform and inspire parties and to stimulate international cooperation. A lot has been written about cities from different viewpoints: smart cities, sustainable cities, resilient or climate adaptive cities. Typical urban topics like the built environment, energy & mobility are interlinked and ask for a system approach. We believe Circular Economy can be the approach to make a real change in cities. as possible is very central in this vision. But a circular economy is also about renewable energy, respect for biodiversity and social inclusiveness. It is about people and businesses that interact and find new ways of collaboration and preserve and create value. A circular economy in cities can start small and deliver results ‘close to home’. A result, for example, a revitalised building and meaningful jobs, is something that people can identify with and that inspires them to scale up. Solutions can jump from neighbourhood to neighbourhood, each in their own context and with their own local hero. In the Circular Cities brochure Holland Circular Hotspot and Circle Economy have included many circular examples from their home base of the Netherlands. Holland Circular Hotspot and Circle Economy share technological solutions, but the brochure does not stop there. The Dutch live in a challenging delta area and have had to work hard to make our densely populated and early industrialised country a vibrant and liveable place. Our environment made us innovative and collaborative. These traits mean that the Netherlands is a perfect living lab to pioneer city solutions for global challenges. Over the last 150 years, we have learned the hard way how to do it and we hope others can benefit from our experience. That is why in our last chapter we will share some of our lessons and tools with the intention to make this brochure actionable. Holland Circular Hotspot and Circle Economy have joined forces shared networks, resources and insights to make this brochure. We hope it can be a kick start for circular development in your city!